Q. In what ways have Ethernet solutions added value to your business? A. In this resource, get actionable insights and learn how switching to a high-performance Ethernet solution can deliver security and reliability across your network and IT infrastructure. 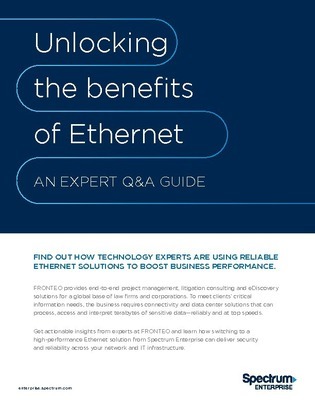 Allow this Q&A to help you unlock the benefits of Ethernet.